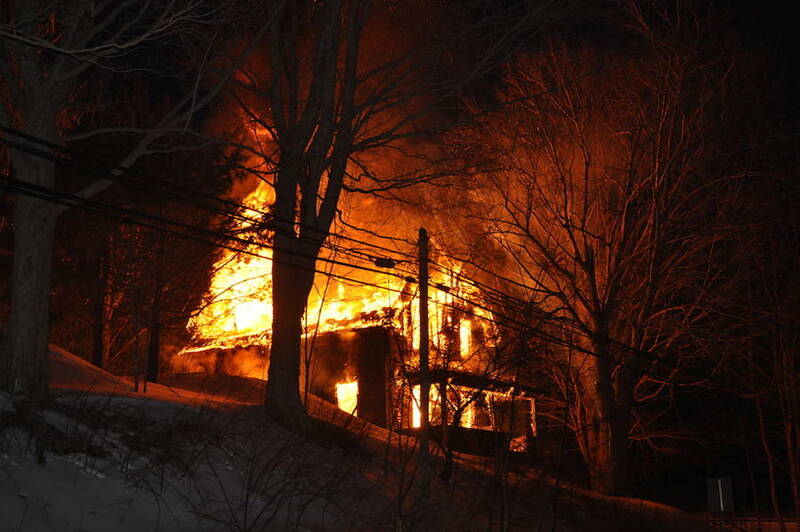 Lunenburg District RCMP have deemed the March 15 fire on Harlow Road in Conquerall Bank as suspicious after witnesses reported that two people were at the house - where no one was living - at approximately 12:30 a.m. and that the fire began right after they left. RCMP, along with Conquerall Bank, Bridgewater and Pleasantville firefighters responded to the intense blaze at 6:38 a.m.. to find the unoccupied house engulfed in flames. Images were captured on surveillance cameras at a neighbouring home. Police have determined the fire is suspicious and are asking for assistance from the public to identify the suspects. Anyone with information about this incident, or anyone who has concerns about suspicious activity in the community, is asked to contact Lunenburg District RCMP at 902-527-5555.